It's hard to imagine anything more precious than your beloved babe. 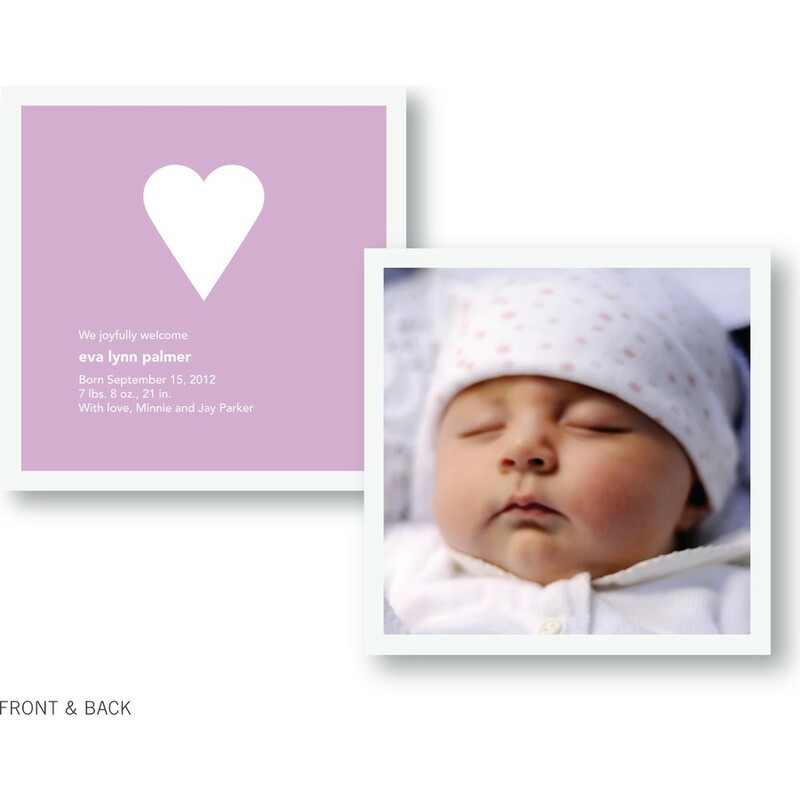 Our sweetly stylish birth announcement, printed on sumptuous premium paper, lets you spread the word with flair to spare... and all you need to add is a favorite photo. It's as simple as that.